Tom Semioli is a writer, journalist, and bassist - but not necessarily in that order! 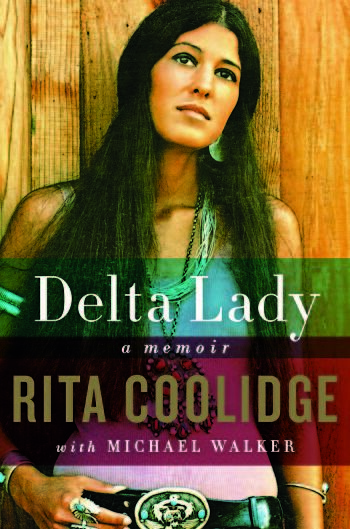 My Conversation With Rita Coolidge: The Delta Lady Comes to New York City! Amen Sammy. However with all due respect to "The Candy Man" crooner, as a music journalist, bassist, and child of the 1970s (whatever that means), I love talking to my record collection. And no American rock 'n' roll and/or popular music assemblage is remotely complete sans the presence of the incomparable Rita Coolidge. A singer, songwriter, recording artist, and now author, among other titles - Ms. Coolidge's watershed artistry traverses rock, pop, country, rhythm and blues, gospel, folk, jazz, Native American, and soul - and every permutation thereof. Her voice is everywhere. Where to begin for the uninitiated? As an A-list session vocalist Rita graced the recordings and/or concert performances of Delaney & Bonnie, Joe Cocker, Stephen Stills ("Love the One Your With"), Leon Russell, Eric Clapton, George Harrison, Ray Charles, Bob Dylan, Graham Nash, Dave Mason, Al Kooper, Marc Benno, and Carly Simon to cite a very, very, very, very select few. As a recording artist Rita has forged a multifaceted multi-platinum career, including Grammys for Best Country Vocal by a Duo or a Group for "From the Bottle to the Bottom," and "Lover Please" which she waxed with her former husband Kris Kristofferson. Her hits, such as "Your Love Has Lifted Me Higher," "We're All Alone," and "All Time High" - are standards, and I am referencing just three of them. Rita's solo albums, collaborations with Kristofferson and others, along with her work with the aforementioned artists define a generation or two or three. Her canon is revered and studied by my musical colleagues - ranging from teens to senior citizens. 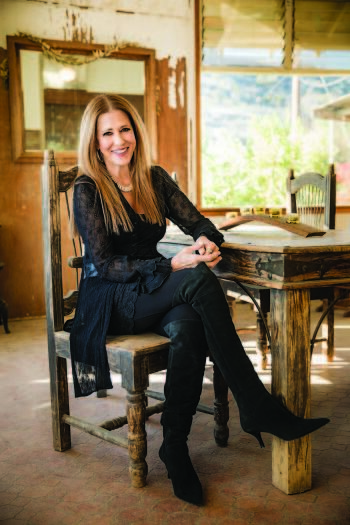 In her captivating new book Delta Lady: A Memoir by Rita Coolidge with Michael Walker (Harper, 2016), Rita lifts the curtain on her life as one of rock music's most important artists; ranging from her "uncredited but essential" contribution to Eric Clapton's anthem "Layla," her relationships with Kris Kristofferson, Graham Nash, and Leon Russell who penned "Delta Lady" and "A Song for You" about Rita; her behind-the-scenes revelations of the iconic Mad Dogs and Englishmen tour; her upbringing and close family ties, the brilliance of her co-musicians who often have not received the recognition they richly deserve in the pantheon of pop music (including the late, great bassist Carl Radle); and her astounding body of work in the studio and on stage, among other stories too numerous to mention on this forum. Collaborating with Michael Walker, best-selling author of Laurel Canyon: The Inside Story of Rock-and-Roll's Legendary Neighborhood and What You Want Is in the Limo: On the Road with Led Zeppelin, Alice Cooper, and the Who in 1973, Rita's tone is wonderfully intimate and her imagery cinematic. "I didn't want to talk at people, or for the book to simply recite a bunch of facts. I wanted it to feel like I was having a conversation with someone because that's the kind of books I like to read," emphasizes Rita. "My editor said 'tell the truth!' And for me, just hearing those words was the starting place, and that's where it remained - in a place and in the light of 'truth'- and that was always on my mind. I mean, I never thought about not telling the truth! But there are ways to say things a little more gently... you can still tell the truth but you don't have to be ugly about it!" Then, bursting into laughter, Rita proclaims, "and some of it is just ugly!" On a passionate thread, she continues. "The things I talk about were some of the struggles I went through as a young woman, and to let people know that they can overcome so many things too. All those obstacles I went through made me stronger." Rita's harrowing accounts of violent encounters, and the machinations of the music business, among other episodes, are indeed riveting. "It was also important for me to talk about the vantage point that I had from the time I went to Memphis and the music scene there and being in the midst of the Civil Rights Movement - especially when Martin Luther King Jr. was assassinated in Memphis, and being in that music scene and in that political scene at that time, which was really important and had a huge effect on my life. And then going to California with Delaney & Bonnie and being with all those great people. It was a great time in music before cocaine and all of that crap became a part of people's lives...it was still just so innocent and creative and beautiful ... and I wanted it to be represented in the book. And I chose to end the book when Kris and I divorced because it could be another book...I can't tell it all!" Which brings us back to Sammy Davis Jr. and singing live: The Delta Lady returns to New York City, the metropolis of many of her artistic triumphs (Fillmore East, Madison Square Garden...) to sing with her band at The Cutting Room, 44 East 32nd Street, on Thursday, June 23, 2016, 7:30 PM. Delta Lady: A Memoir by Rita Coolidge with Michael Walker (Harper) is out now. Special thanks to Ivy Markaity. Front jacket photograph by Bob Jenkins. Back jacket photograph Matt Beard, Jacket Design by Jarrod Taylor.